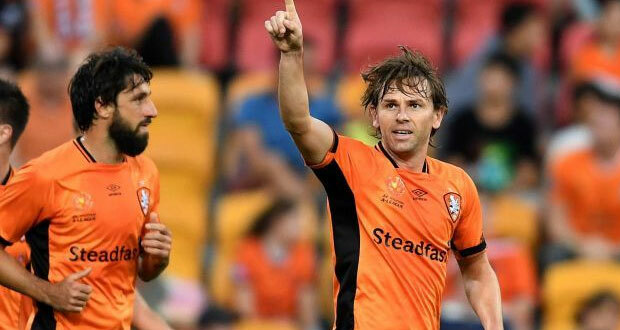 Brisbane Roar won their final game of the regular season coming back from a 3-1 deficit to beat Wellington Phoenix 4-3 in a dramatic and eventful Sunday afternoon at Suncorp. The Roar needed at least a draw to guarantee a home final but they went down 1-0 after less than ten minutes thanks to a goal from Phoenix striker Roy Krishna who got goal-side of young Cameron Crestani and coolly slotted the ball home past Michael Theo. It was a night to forget for the young Roar defender, filling in for the injured Jack Hingert, as he was directly at fault for all three goals the Phoenix would score, including an absolute howler when he fluffed his clearance for the Nix’s third. The Roar would still rise to occasion however, thanks to the likes of Brett Holman and Brandon Borrello, both of whom were afforded acres of space by the lackadaisical Phoenix defence. Holman scored the first and probably best goal of the night – a thirty yard screamer than flew past Nix keeper Italiano. Holman had scored four goals this season up to this point, each one a little iffy and reliant on a deflection or a goal keeping error. But there was nothing snarky to say about this effort which will rank up there with the Roar’s best goals of the season. The Roar came out firing in the second half, and recovered their 3-1 deficit in just fifteen minutes with both Borrello and Maclaren getting on the score sheet. Maclaren’s goal was his fiftieth in the A-League and his nineteenth for the season, tying him with Besart Berisha for the Golden Boot award. Maclaren had a golden opportunity to take the Golden Boot award outright when he was brought down for a penalty but he fired his shot straight at Italiano. Still, his goal scoring returns over the past two seasons has been excellent and he is far away and the most prolific Australian striker in the competition today. The match was an entertaining way to end the Roar’s regular season. The club has finished third for the second consecutive season and after some early season jitters (that wretched 4-0 loss to the Jets), the team has really found some momentum in the last month with impressive wins over Central Coast Mariners, Kashima Antlers and Wellington Phoenix at Suncorp. 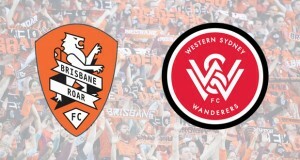 They now host the Western Sydney Wanderers in the first round of the finals and have a chance to avenge their 5-4 defeat in the semi final of last year. 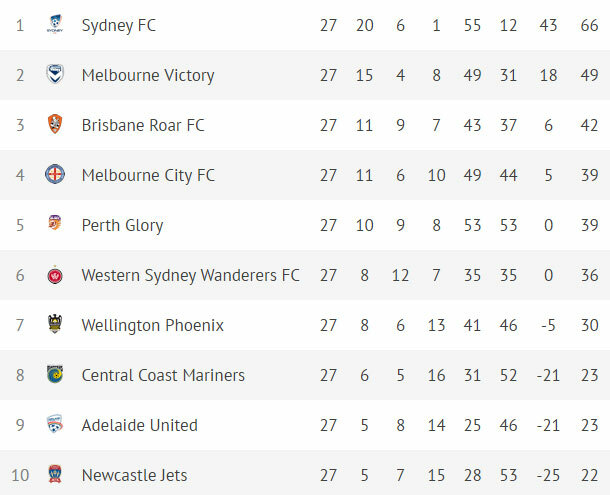 The craziest match of the round was Perth Glory and Melbourne City’s five goal thriller in the West. The match was notable for Liam Reddy wandering out of goal which directly lead to City’s fourth. Also, it was notable that in his post match interview, Tim Cahill appeared to throw his defenders under the bus, stating bluntly that their efforts weren’t good enough on the night. Perth went into this match needing four goals to host a home final. They got five but leaky defending meant that the rematch between these two teams will be in Melbourne. Sydney finished their season with a comfortable 2-0 win over the Jets who finished with the wooden spoon for the second consecutive season. The Jets promptly fired coach Mark Jones hours after the match. Sydney lost only a single game in a record breaking season where they won the most competition points of any A-League team in history and shattered other records including longest winning streak, least goals conceded in a season and best ever start to a season. 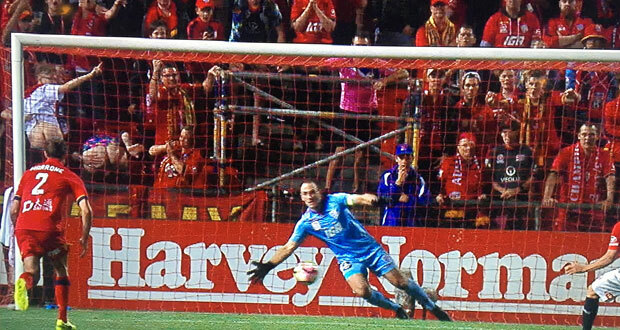 Adelaide fans resorted to a time honoured technique to distract Nico Martinez and cause him to miss a penalty in their 2-2 draw at Hindmarsh Stadium.